Our 2018 North America PR Agencies of the Year are the result of an exhaustive research process involving more than 150 submissions and 50 face-to-face meetings with the best PR firms across the US and Canada. 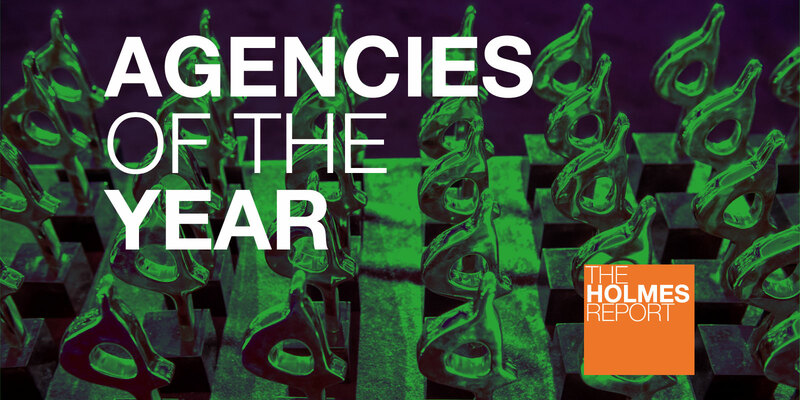 Analysis of each of the Agencies of the Year for every category can be accessed via the navigation menu to the right or here. 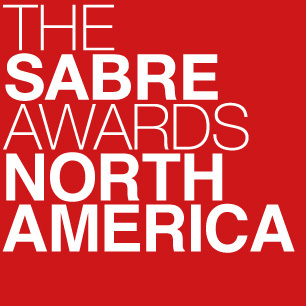 Winners were unveiled at the 2018 North American SABRE Awards, at Cipriani 42nd Street in New York on May 1. This time two years ago, financial communications specialist was making headlines of its own. In the midst of talks to sell a 40% stake to private equity firm Golden Gate Capital, the firm was hit by a number of high-profile departures—former hedge fund practice leader Jonathan Gasthaltar was the most high-profile—that raised questions in the mainstream media. But after 18 months of the new ownership structure, George Sard and Paul Verbinnen’s firm looks stronger than ever, with a team of 175 people across seven offices, and a leadership position on the 2017 mergermarket ranking of PR advisors to M&A (about half of the firm’s business). Sard Verbinnen handled 248 deals globally, worth a combined $386 billion, and was also number one in terms of both volume and value in the US. Among the highlights, the firm has been working with Bayer on its pending acquisition of Monsanto, with Qualcomm on its defense against Broadcom, with Samsung on its acquisition of Harman, with ADP in its defense against activist Pershing Square Capital, with Delphi on the spinoff of its Powertrain business, with Scottrade on its acquisition by TD Ameritrade and with Intel on its acquisition of Mobileye. It also handled the initial offering of Best, Inc., the largest IPO by a Chinese company in 2017. It has been seven years now since the former Robinson Lerer & Montgomery merged with UK financial specialist Finsbury, and more than three years since the US operation adopted the Finsbury brand, and the progress has been impressive. The former RLM had always enjoyed a formidable reputation for its corporate and crisis work, but had struggled to crack the top tier of merger and acquisition advisors. That’s no longer the case: Finsbury was fifth in terms of deal volume in the US last year, handling 93 transactions, and third in terms of deal value—behind only Sard Verbinnen and Joele Frank. A major change is that Finsbury is now among the leading players in the cross-border transaction business, with Kal Goldberg in New York working in partnership with the firm’s formidable London office and German financial PR powerhouse Hering Schuppener. That has helped the firm play a lead role representing SABMiller in the $107 billion Anheuser-Busch InBev deal; Royal Dutch Shell's $70 billion acquisition of BG Group; and the merger of Walgreens Boots Alliance and Rite Aid. Last year, the firm worked with Praxair on its $80 billion merger with Linde; Takeda on its $5.2 billion acquisition of Ariad Pharmaceuticals; and Tribune in its $3.9 billion acquisition by Sinclair. It was something of a roller-coaster year for FTI Consulting’s “strategic communications segment” (the somewhat unwieldy name for the management consulting firm’s corporate and financial communications unit). The second quarter, in particular, was pretty dismal, with fees down by about 7.4% from the previous year. That was followed by changes at the top of the organization, with longtime CEO Ed Reilly focusing on client development and assisting with the leadership transition while Mark McCall — who had been CEO for the Americas — taking over the global role and energy and natural resources practice lead Brian Kennedy elevated to lead the Americas. But by the end of the year, the metrics were looking quite a bit better. Fees were up 5% in Q3 and another in 8% in Q4, ending the year just short of $200 million, and while much of that growth came from Europe and Asia there were signs that the US operations were turning around. The firm added new clients like LyondellBassell, Cincinnati Bell, and McCormick & Company to a roster than includes MasterCard, Delta Air Lines, Google, Amazon, Pfizer and more. The mergermarket league tables, meanwhile, showed FTI second globally in terms of deal volume, handing 207 transactions around the world in 2017, worth around $200 billion. In the US, FTI was number six in terms of volume (91) and value of deals worked. In a year marked by the communications challenges brought on by political and regulatory uncertainty, Joele Frank was involved the some 2017’s highest-stake transactions — and gravest tragedies, like the Las Vegas shooting, due to its growing crisis communications practice. In 2017, the firm provided counsel on 151 transactions globally and worked with roughly 480 clients. A leader in M&A, the agency’s work in 2017 included representing Broadcom in its ongoing bid for Qualcomm, currently valued at approximately $117bn; Johnson & Johnson on its $30bn acquisition of Actelion; Scripps Networks Interactive on its $14.6bn sale to Discovery Communications; and Honeywell on its $7.5bm spin-offs of its Homes product portfolio, ADI global distribution business and Transportation Systems business. With a newly expanded crisis communications practice, the firm also worked with MGM Resorts following the Las Vegas shooting. Joele Frank rolled out a multi-tiered initiative aimed at providing community support, including a $3m donation to help victims and first responders; offering support services to employees; communicating with guests about safety concerns; and working with the media. The crisis practice also handled other major events. It worked with NextEra in its response to Hurricane Irma in Florida; PG&E in its response to wildfires in California; and Snap-on when it hosted President Trump at its headquarters. Separately, the agency counseled companies in the limelight due to bankruptcies — Toys R Us, Cumulus Media and Bon-Ton among them. Founded in 2003 by former Morgen-Walke Associates media relations guru Terry Rooney as Rooney & Associates, the firm now known as Rooney Partners has flown below the industry radar for a decade and a half, helping its clients “be known” (the firm’s tagline) while remaining relatively unknown itself. The firm focused on providing senior-level counsel and bespoke media relations services to its clients—in financial and professional services, agribusiness and industrial, healthcare and technology—almost all of whom come to the firm via a referral network of friends in media, venture capital and professional services firms. But over the last couple of years, since the name change, the firm has become more and more difficult to ignore. That’s partly because of the increased contribution of the two new partners: Marion Janic, former assistant vice president of corporate communications and investor relations at CIFG Services, a Frenchwoman who has helped to grow the firm’s international business; and Len Costa, former head of communications and content strategy at CFA Institute, who has expanded the firm’s content creation and digital and social media capabilities.